Businessman Karlheinz Schreiber, who is wanted in Germany on tax evasion, fraud, and bribery charges, lost the case of his extradition from Canada. German prosecutors allege that Schreiber, who has dual Canadian-German citizenship, avoided income tax on $45.6 million Canadian (US$41.7 million) in secret commissions he received for brokering sales of aircraft and arms. He was ordered extradited to Germany in 2004. Schreiber worked as a lobbyist, consultant and dealmaker in the sale of helicopters, Airbus aircraft and armaments. The Ontario Court of Appeal, which already struck down his first legal challenge, on Thursday dismissed Schreiber's recent application for judicial review based on new evidence. Schreiber's lawyers argued he could not possibly receive a fair trail in Germany because of inflammatory comments a judge there made to a local newspaper. But the Appeals Court panel ruled Schreiber's extradition would not "offend the Canadian sense of what is fair, right and just." The court's decision, which can be appealed to the Supreme Court, stated it should be up to the German court to decide whether Schreiber's fear of "prejudgement" is valid. 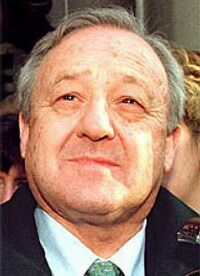 Schreiber was arrested in Canada on Aug. 31, 1999, for extradition to Germany and has been out on bail since shortly after his arrest. The fraud charges arise from a deal for the sale of 36 German army tanks from German arms manufacturer Thyssen AG to Saudi Arabia. Germany alleges Schreiber and colleagues at Thyssen created a subsidiary commission contract that defrauded Saudi Arabia. Berlin also maintains that, in relation to the tank deal, Schreiber bribed Ludwig Holger Pfahls, then the German deputy minister of defense, to help secure the tank deal. The German charges also allege Schreiber paid secret commissions in relation to the contract with Saudi Arabia.